Meet the Point House Boys. Top row left to right: Thump Lowend, Mark the Meister; Middle Row: Jonny Banjo; Bottom Row: Deano the Sticks and Tim the Keys. 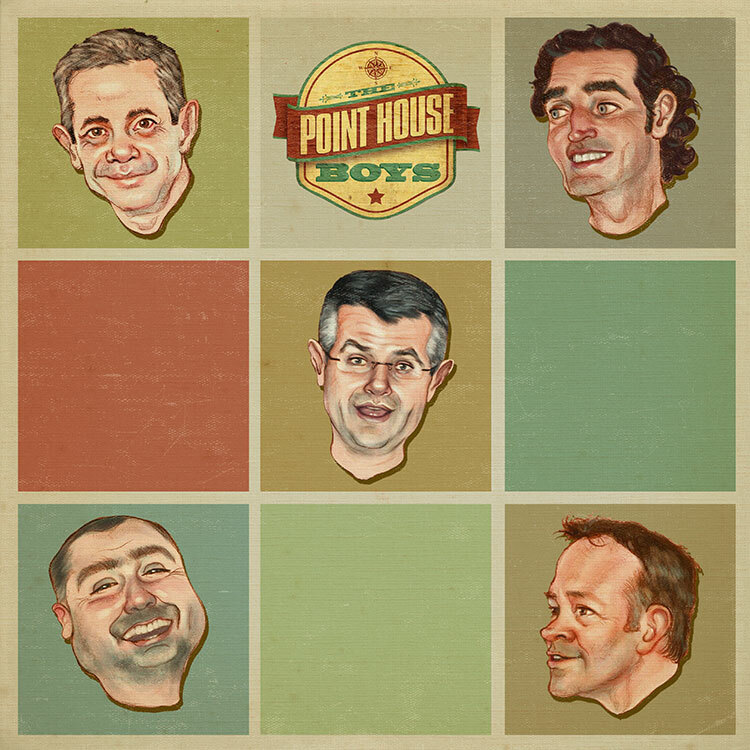 Point House Boys are a folk-rock-pop acoustic party band. An amalgam of musical ‘talents’ that came together through several boozy evenings in various Gower pubs… banjo, mandolin, uke’, melodica, acoustic guitars, honky tonk piano, harmonica and a thumpin’ rhythm section. Tim (The Keys) commissioned their caricatures.